Microbes are fascinating to Shannon Fraser. As an M.S. student in the College of Natural Resources at the University of Idaho, she is studying how microbes impact poplars. Shannon received her B.S. in botany and plant pathology from Oregon State University in 2013 and spent three years researching in Michigan and Canada for the Great Lakes Wetland Inventory. 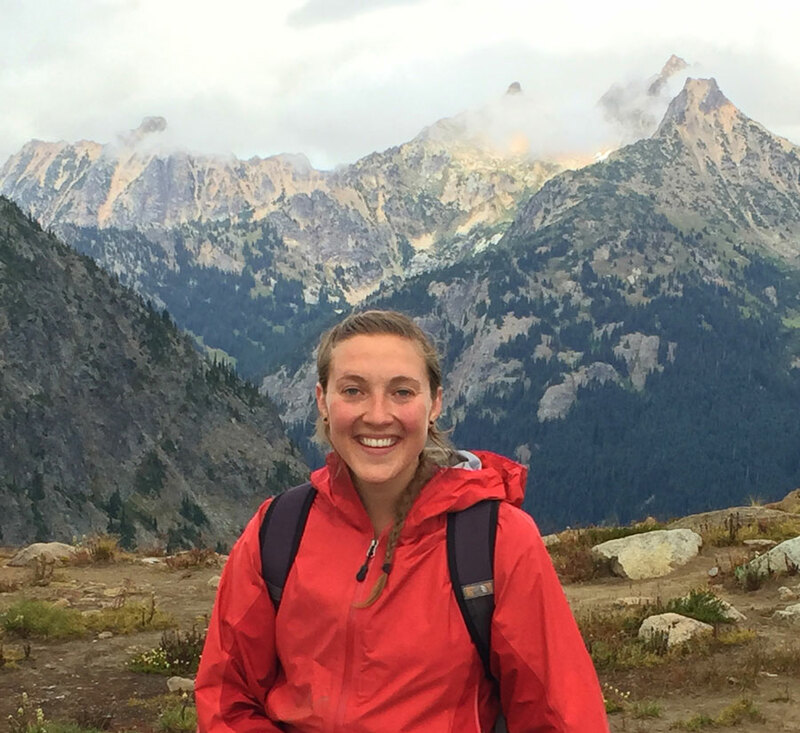 She is now working on the AHB feedstock team studying the microbial communities of poplar leaves, researching fungal leaf endophytes, and identifying poplar diseases in the Pacific Northwest. Shannon will be graduating in the spring of 2016. When did you first get interested in this type of work? I spent most of my childhood outdoors in Coeur d’Alene, Idaho, which began my interests in the natural world. The first time I became interested in endophyte ecology was while taking lichenology at Oregon State University. I worked on an invasive lichen project and saw first-hand how fungal spores can influence the larger community by displacing native microbes I pinpointed this particular area of study while working as a research assistant at the University of Idaho. I became fascinated by the idea of how microbes affect entire ecosystems and how much they can benefit poplar growers, people in the community, and the land itself. What appeals to you most about your research? There is so much to learn! Each day is spent working toward answers, making new discoveries, and asking more questions. In comparison to other subjects in science, there is little known about endophyte communities in trees. These microbes live in leaves without causing disease and can benefit the host and antagonize the disease. We have found that certain isolates of endophytes can actually assist or limit disease by up to 30%. How are you identifying and investigating poplar diseases? We sample from wild stands of poplar in the Cascades and field sites in Washington and Oregon. This has allowed us to explore geographical trends in the presence and absence of poplar foliar diseases. Valsa sordida is a weak canker pathogen that causes blackstem, which is a type of leaf blight. We have found that V. sordida is able to cause disease in poplar leaves in some of the populations in the east slopes of the Cascades. How do you hope people will benefit from your work? I love doing this research, but the only reason I do it is because I see it benefiting society. What is research for if it doesn’t help people in this world? I hope my work will help people understand more about the microbe community and how it directly affects their life and the environment around them. With this project we are working towards biological controls which, I think, will have a future for managers of poplar tree farms and how they can apply endophytes in their work. What do you plan on doing after graduating? I am getting my teaching certificate in biology along with other endorsements. I would like to teach at the high school level while also continuing to do research in the summers and in my spare time. I regard teachers at all levels to be an inspiration. I would be happy to teach from the elementary level to college as long as I would be able to educate and impact young minds.